I will admit I'm not a super patriotic girl (insert cringing face here). I grew up in the nation's capital so for me the 4th of July signifies crowds of irritating tourists, drunken acts of debauchery, and loud noises confused as fireworks for a full week before and after the holidays. Did I mention the irritating tourists? Okay so I'm no super fan, but I love a good excuse to play with polish! So I decided to do a couple of holiday mani's complete with tutorials dedicated to the cause, and I hope you ladies will enjoy them. First up as a holiday with lots fireworks I'm did something with lots o' bling! 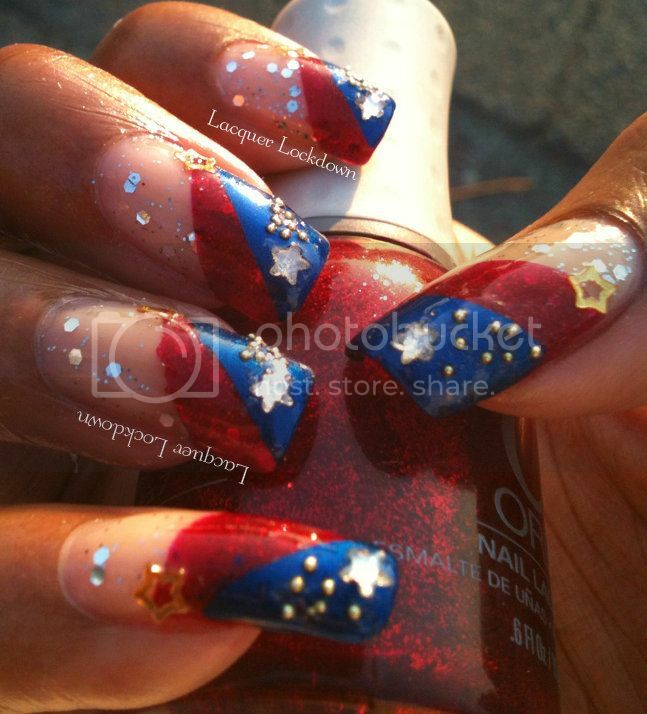 I really love the effect of Orly Star Spangled layered over NOPI's Make You Smile. I somehow got an added dimension that I didn't expect. It's bright and cheerful right? I hope this sort of makes up for my general sassy satire in the beginning lol! 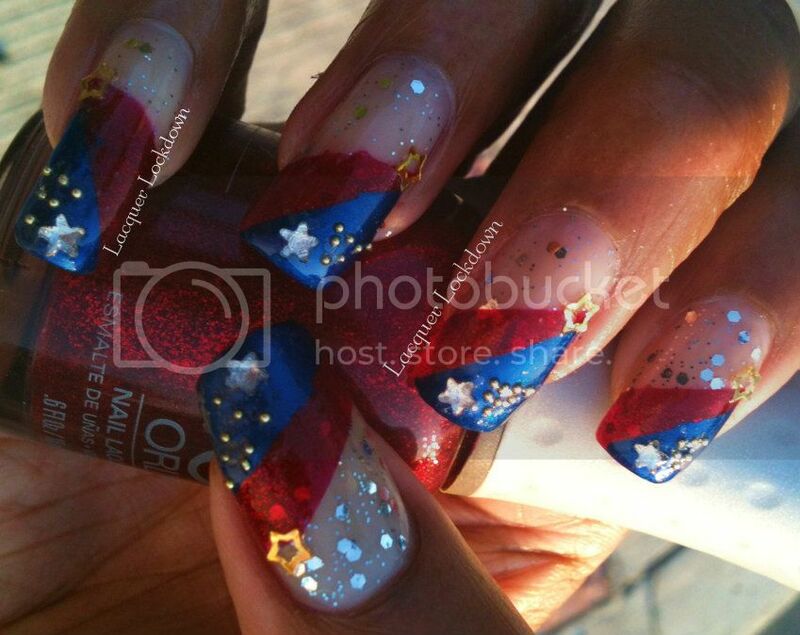 Thanks for reading and please keep checking back for more 4th of July themed mani's! This is really pretty! And oh so sparkly!! I love the red you used in it! Thank you doll! 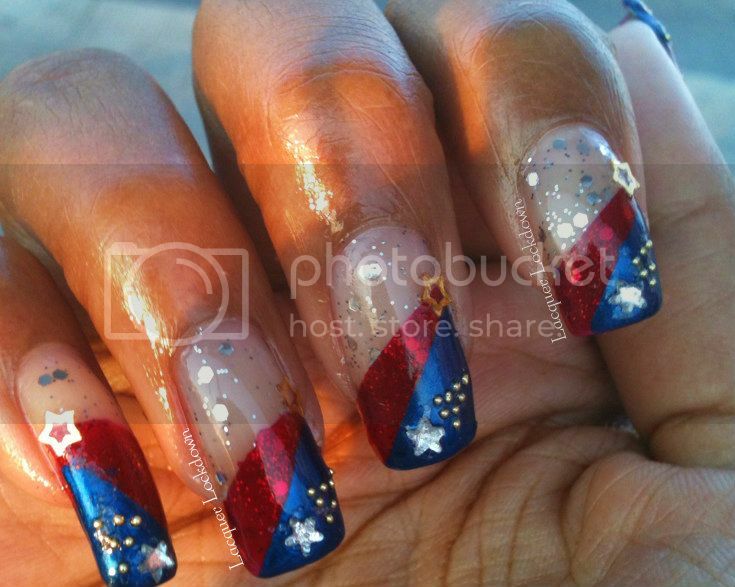 I honestly don't know why I haven't touched Star Spangled before...it's such a pretty polish.